In our last blog, we outlined a few of the roofs around the world we would kill to see up close and personal. We decided one list just wasn’t enough to list out our top favorites. In this second part in our roofs around the world we would love to see series, comes a few from pop culture, historical sites, bright colors, and artistic designs. 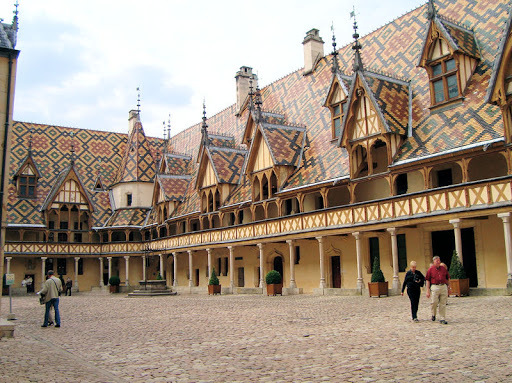 These next four roofs cover a wide range of a sampling of beautiful roofs from all areas of the world. If you could go anywhere and see anything for yourself, where would you go? If you need some inspiration, check out our list and start saving for your next vacation! These roofs would take us to Italy to see some of the most intricate tiled designed roofs in the world. Now one of the most iconic wine villages in France, this small town made fortunes between 1363 to 1477 which helped them launch their name into the world of delicious wines. For us, the tiled shingles would be incredible to see close up. The intricacy and amount of detail would be best appreciated up close and personal. The care and maintenance of these roofing structures must take an incredible amount of effort, so getting the opportunity to see it in person and talk to the people responsible for taking care of such legendary designs would be an interesting conversation absolutely. Are you a fan of racing? This roof would be for you as much as it is for us at Alliance. We love the odd and spectacular and this roof is both! 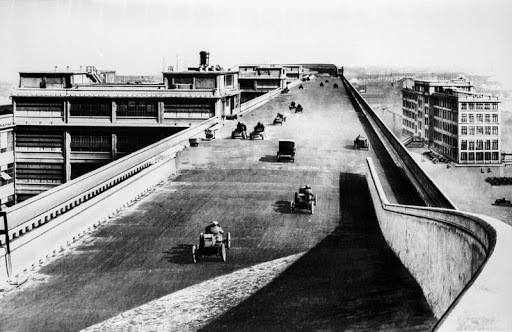 Built between 1916 and 1923 in Turin’s Lingotto district, you might remember this roof from the legendary Michael Caine movie, The Italian Job. If it’s been a while, here’s the scene for reference. 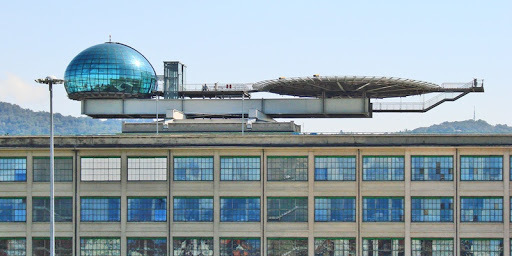 Built atop the Fiat factory, this roof track spirals down inside of the building. Initially used as a test track for people interested in buying a Fiat, the entire building was imagined to create a production experience unlike any other. As for the roof, it was one of the first of it’s kind and a magnet attraction. Since it’s close in 1982, the public debated its future. Finally, the decision was made to create a public space for the future. This space includes an auditorium, paneled in cherry wood, the bubble which is a panoramic meeting room in crystal and the ‘treasure chest’ which is an innovate structure home to a vast collection of precious art. 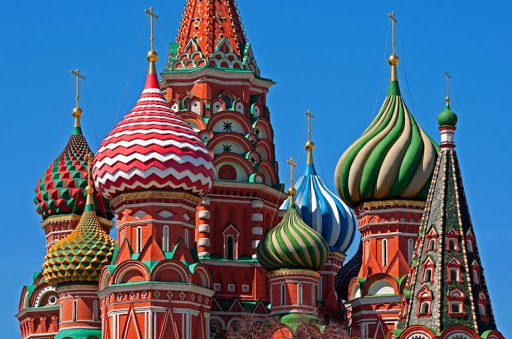 This wouldn’t be a list of amazing roofs without including St. Basil’s Cathedral. These brightly colored domes are a staple of the Moscow skyline. The building was completed in 1561 and features the 156-foot central nave surrounded by nine small chapels aligned to represent a compass. Although the colors are primarily the most attention-catching aspect of the building, these colors weren’t added for more than 200 years after the building was constructed. We would love to not only see the colors up close but the view from the top. The ‘onion’ domes were created to replicate the shape of a flame in a candle. This would be one of the most interesting roofs to have a look at for all of the detail, materials used, and what it takes to maintain the bright striking colors. 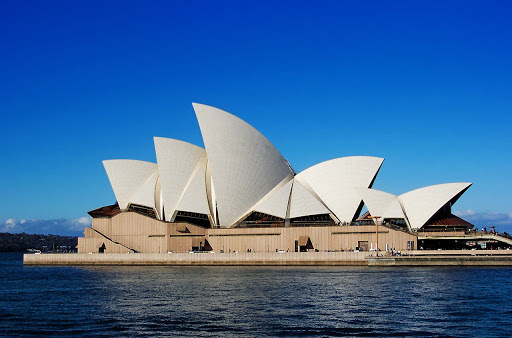 As soon as the idea for the Sydney Opera House began, architects from Arup & Partners in London were tasked with the mathematical equation for creating a shell-shaped roof. As development and construction began, the shape of the roof changed to be more extended and pointed. Although innovative, these shapes proved to be structurally unsound. The geometry proposed would make it impossible to reuse the formwork and would add significantly to the overall cost of the construction. 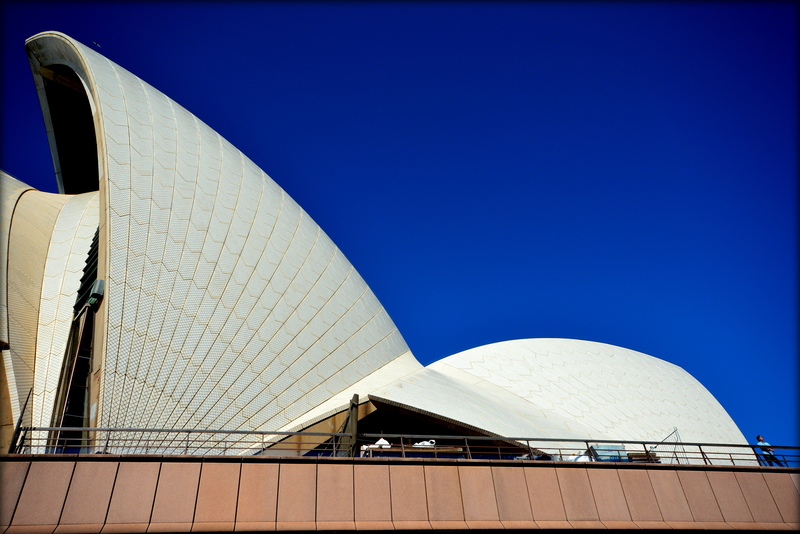 At first glance, you might not notice anything special aside from the shape about the roof of the Sydney Opera House. Designers of the roof wanted to make sure the structure stood out from the blue sky and the harbor water, so the tiles were designed and colored to do just that. Not only do we want to see the unique shape of the roof, but getting to see all 1,056,006 tiles in person would be absolutely incredible. In all, these roofs could be on anyone’s list, even those not obsessed with roof design and maintenance like us. The views, architectural triumphs, and surrounding beauty make these places a true destination. That concludes our “Roofs of the World’ bucket list. What’s on yours? Looking for something a little more traditional for your business? We can help make sure you make the best decisions when it comes to your roof and the maintenance you need to keep it looking great. 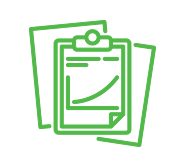 Give us a call or set up a meeting when you’re ready to get started!